If you have a Kidde smoke detector, you should inspect it today. Models PI2010 and PI9010 have been recalled due to a manufacturing defect that inhibits their ability to smell smoke. The United States Consumer Product Safety Commission announced the recall on Wednesday. Head here for the details, or head to Kidde's site for help determining if your model is affected. If your model doesn't have a pill shape across the front, you're not affected. If it does, take it off the wall and check the back to see if it matches either of the two model numbers above. If it matches, look inside the unit for a yellow cap. If you see one, head to Kidde's site to get a replacement. If not, your smoke detector isn't affected. The affected units are dual-sensor alarms. According to the CPSC, roughly 452,000 have been sold in the US and 40,000 more were sold in Canada. All models were sold between September 2016 and January 2018. Apparently, the problem stemmed from an oversight in the manufacturing process that left a yellow cap covering one of the two smoke sensors. Again, you can supposedly see this cap by looking inside your smoke detector. You shouldn't have to disassemble it. Fortunately, no linked injuries have been reported. 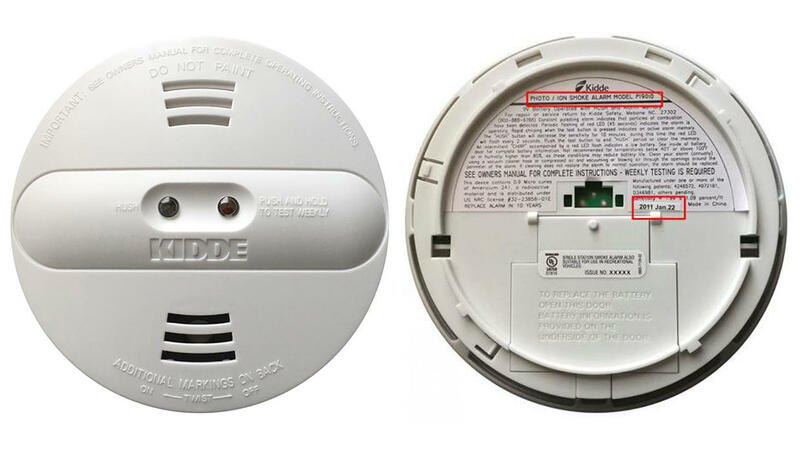 A Kidde representative offered the following statement over email: "As customer safety is our first priority, Kidde has worked closely with the U.S. Consumer Product Safety Commission and other relevant authorities to voluntarily initiate a recall and ensure that affected smoke alarms are replaced with different models as quickly as possible."